The price of Novartis’ groundbreaking CAR-T therapy is likely to face resistance, with Express Scripts calling for a new payment model for it and other gene therapies. While the blog post stopped short of calling the drug too expensive, Novartis is likely face resistance from Express Scripts and other payers. The drug is the first chimeric antigen receptor T-cell (CAR-T) therapy approved by the FDA, gaining its first licence to treat acute lymphoblastic lymphoma (ALL) in patients under 25. Miller noted that the price is considerably lower than the $600,000 – $750,000 originally predicted by analysts. Nevertheless, Miller has called for a new payment model. He said that Express Scripts, which manages drug costs on behalf of health insurers, is working with pharma, policy makers, patient groups and payers to make gene therapies accessible to patients. Miller said that “value-based contracting”, could be one answer, where the health system and patients and their families, should not have to pay if treatments don’t work. “Value-based contracting can ensure that payers and patients aren’t on the hook when a treatment isn’t effective,” he wrote. Other ideas include paying for treatments over time, establishing insurer risk pools and financing one-off patients. Kite Pharma’s rival CAR-T therapy, axicabtagene ciloleucel, could also be approved by the FDA by the end of November, and with other highly effective but highly costly therapies in the pipeline, Miller argues that new payment models must be found to allow patients to access them. The high price tags are a result of the narrow uses for these drugs – and in the case of CAR-T the price may go down as the therapies are approved in other indications, making them available to patients in the near-term is challenging. 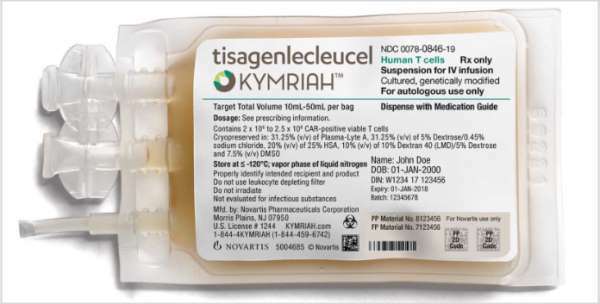 Miller did not comment on how European payers could get these drugs to patients, but noted that the uniQure/Chiesi’s ultra-rare disease drug Glybera was a commercial flop with its price tag of around a million euros. “The health care system isn’t set up for this type of economic model,” he added.